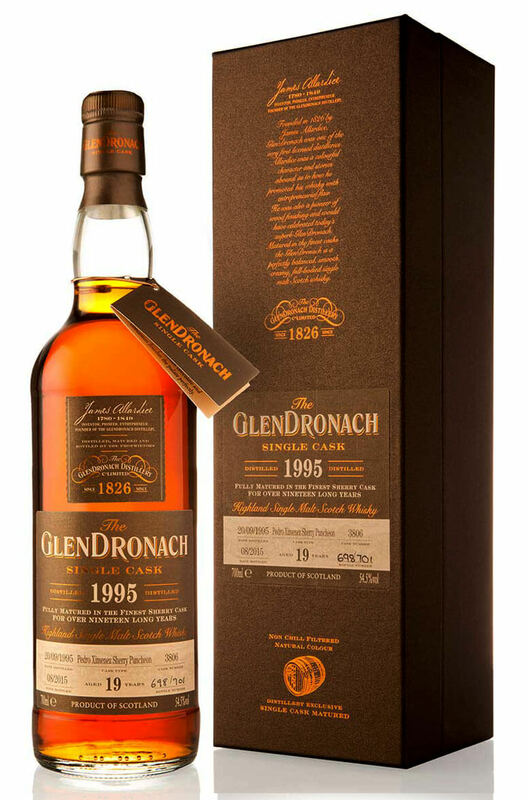 A 19 year old single cask bottling from Glendronach's 12 Batch of amazing special releases. This has been fully matured in a single Pedro Ximenez Sherry puncheon. Aromas (without water) Delicious rich dates and spiced chocolate complement dark cherries and hints of ground almond. Flavour Rich oak and cracked black pepper warm sweet spiced rum raisins. A combination of molten chocolate and cinnamon finishes the palate perfectly.